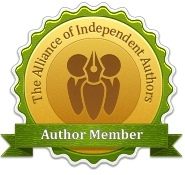 And finally, special thanks to Anne Cater of Random Things Blogtours who set it all up. Very professional and highly recommended! Carina had to go through a ‘birthing’ process or perhaps even a regression; she’d started off fully formed in my imagination at the start of INCEPTIO, the first of her adventures. We first see her working in the New York Kew Park as a weekend volunteer. What this tells us – she loves the outdoors and works happily with others. She enjoys running and keeping fit. What this tells us – she’s sporty. At the beginning of INCEPTIO, Karen (not yet Carina) is not particularly happy or unhappy, although she’s not achieving anything in her life. What this tells us – she’s unsure of her abilities, and unsettled, but resilient. The early loss of her parents and fostering with cold relatives forces her to be self-contained and not a little wary of others. What this tells us – she needs to feel safe. Part of the urge to protect herself makes her a smartmouth. She defends an older person from some young bullies. What this tells us – she has a strong sense of fairness and has the courage to put it into action. She has a hot temper and makes snap decisions, not always wise ones. What this tells us – she’s passionate and fallible. She enjoys the movies and subscribes to a movie periodical. What this tells us – she has a nice, normal, safe hobby. The foundations are then laid. The traumatic events in INCEPTIO reveal her innate toughness and determination, her sense of fairness, her hot temper and compassion. Now I had to build in some factual background. Born in the Eastern United States (EUS), father William Brown, ex-UK citizen, mother Marina Mitela, daughter of one of the Twelve Families who founded Roma Nova in ancient times. Although registered with the Roma Novan authorities at birth as Carina Mitela, she was raised as Karen Brown in the EUS. For her first twelve years, she lived in New Hampshire. Sadly, she lost her mother in a mysterious car accident when she was three, and her father from cancer at twelve. Fostered adequately, but unlovingly, with distant Brown cousins in Nebraska on the edge of the Indigenous Nations’ territories, she left for the autonomous city of New York the day after graduating high school. After several jobs, at the beginning of INCEPTIO she has ended up as an assistant account executive in Bornes & Black Ad Agency. Physically, she is too tall and angular to be classically pretty, she has an athletic build, blue eyes and red-blonde hair. She doesn’t know it yet, but she bears a striking resemblance to her grandmother, Aurelia, as a young woman. Carina’s backstory is reinforced when we see her mother, Marina, as a young child in the late 1960s in AURELIA and as a young woman in the early 1980s in INSURRECTIO and RETALIO. William Brown, Carina’s father, not only courts Marina, but helps Aurelia in INSURRECTIO and RETALIO. And Carina is born in RETALIO. 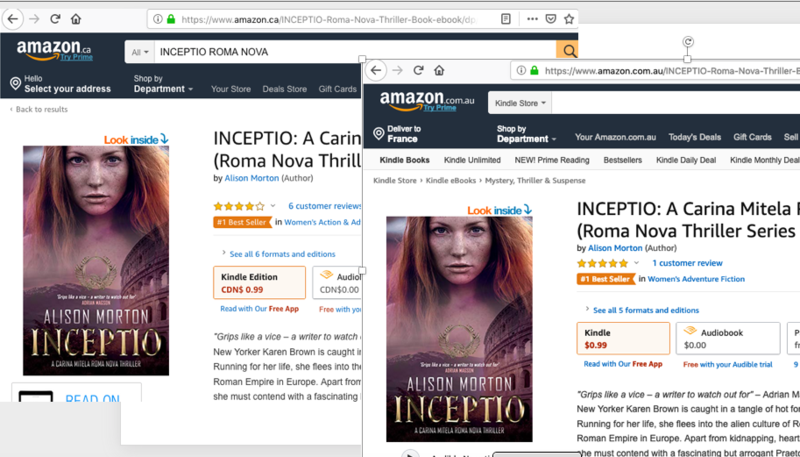 Although these incidents are subplots to Aurelia‘s story – she is after all the heroine of these three books – this fleshes out Carina‘s background, only part of which which emerges from the books where she is the lead character – INCEPTIO, CARINA, PERFIDITAS and SUCCESSIO. In the novella CARINA, our heroine leads her first overseas mission and some of the eager newbie enthusiasm fades as the realities of political and professional life touch her. 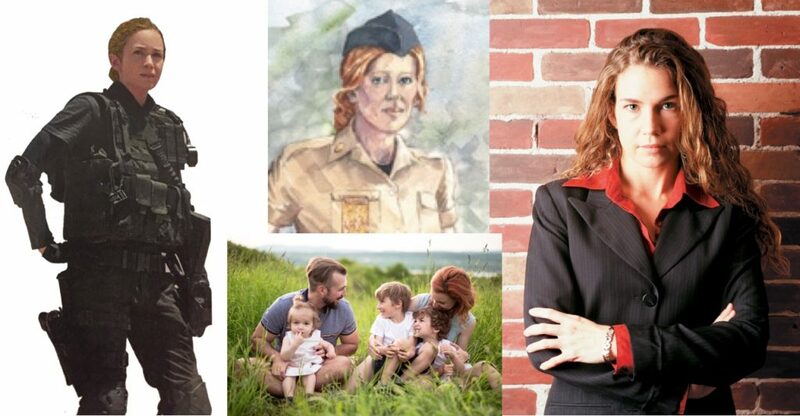 In PERFIDITAS and SUCCESSIO, she matures, becoming a parent as well as an effective special forces soldier. She has found her place in life, but the heart-wrenching challenges she faces test her loyalty and duty to the full and nearly break her profound love for her life partner, Conrad. In ROMA NOVA EXTRA, we see all these aspects in different stories. Later, she becomes a senior officer in the Praetorian Guard Special forces, a senator and imperial councillor, and heads the Twelve Families of Roma Nova, yet remains a loving mother and granddaughter and not without her doubts and worry about fouling up. Not an easy combination at any stage of her life! Over the series we see different parts of each individual’s story – I love hooking the past, present and future together – but Carina retains her basic character traits and values throughout, although how she expresses them and assesses her reactions develop through the stories. She is only human, after all! 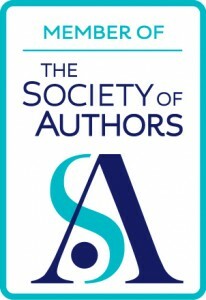 This ranking is much coveted by authors, but is often extremely ephemeral, so poor benighted, insecure souls that we are, we have to celebrate these rare occurrences. 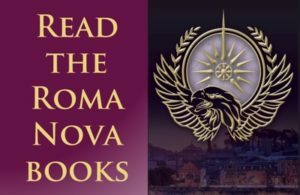 And I truly hope that new readers will discover the world of Roma Nova, its Roman beginnings and its enduring Roman values (with the big twist, of course!). In the meantime, I will drink a (virtual) toast of Brancadorum champagne and a real one of French bubbly to the discerning readers of Australia and Canada.